Some time ago we launched a rather expansive JBoss Travel Agency demo project to show some of the more interesting feature of JBoss BPM Suite. We provided a collection of videos that not only show you how to install it, what the various rule and process artifacts are in the project, but we also walk you through the various paths you can take during actual use of the JBoss Travel Agency process. The project continued to expand over time, adding on not just a bookings process, but also a payment process that included advanced features like compensation (rolling back bookings), integration of traditional web services in service tasks and a credit card fraud detection system. We have showcased this project on several online webinars, including together with PEX Processing Network. After that we decided to provide a reusable demo project you can easily spin up yourself to explore the details around how a JBoss BPM project would integrate with the microservices we migrated from existing classic web services with JBoss Fuse. 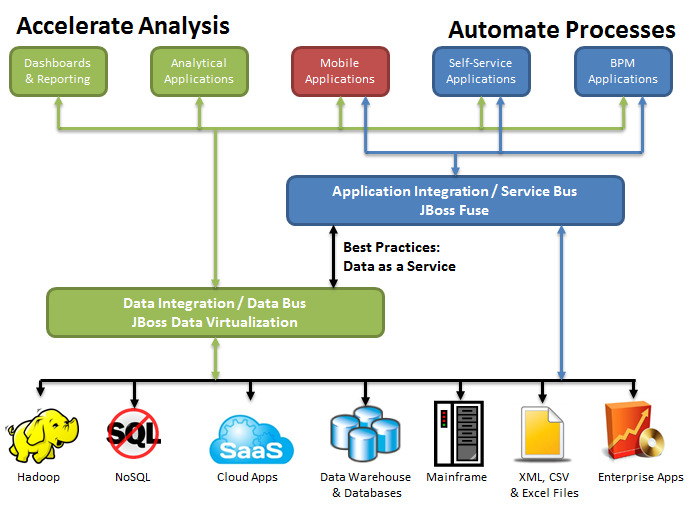 Finally, we put together an Ultimate Guide to JBoss Integration, where we looked at some of the more interesting products you can use to implement use cases where JBoss BPM integrates your various data needs. The only thing missing in this discussion was a working example of data integration, where we are "...accessing data and functions from disparate systems to create a combined and consistent view of core information for use across the organization to gain necessary insights and improve business decisions and operations. This type of integration usually helps to accelerate development of business intelligence systems." Submit a travel booking request. 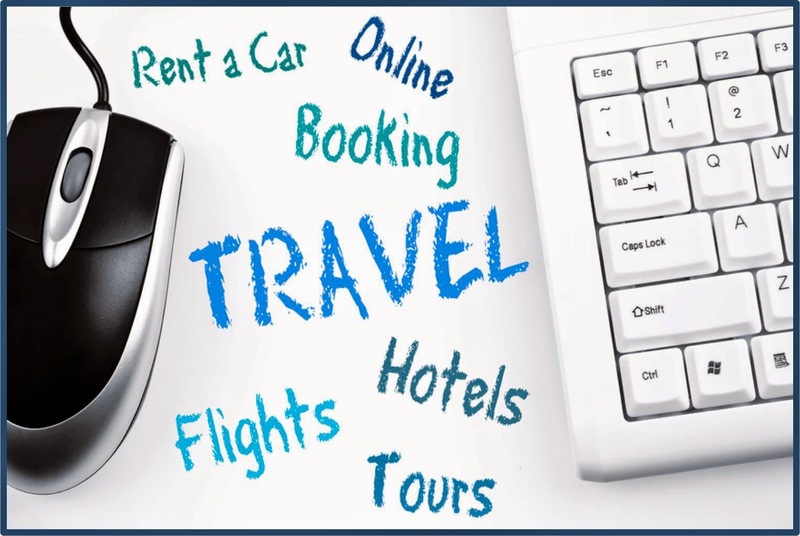 As JBoss Data Virtualization (DV) is ideally suited for this type of integration we went ahead an put together an example of this that fully integrated a working JBoss BPM Travel Agency with JBoss DV virtualized data sources that allow us to gather both Flight and Hotel information. We also use this integration to communicate our bookings data back to the correct systems of record that JBoss DV manages for us behind the scenes and provide a consistent view that is integrated into the JBoss BPM Suite BAM dashboard. JBoss DV provides a concise view of the Flight data. Please also take the time to join us for the webinar A Guide to Modern BPM Data Integration that will provide all the details around this project and a live run through the project showcasing everything presented here. The project installs JBoss BPM Suite 6.1 with the JBoss BPM Travel Agency projects rules, process, forms and sub-flow. It then installs JBoss DV 6.1.1 with several data sources setup to be used by our application. 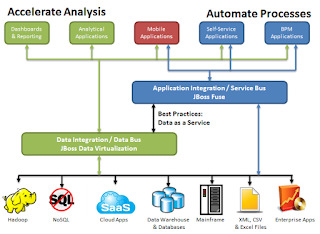 JBoss DV provides overview of Hotel data. To setup this project there are just a few simple steps to get going. Flight bookings are tracked in BAM dashboard. Start the JBoss BPM Suite server, login, build and deploy JBoss BPM Suite process project at http://localhost:8080/business-central (u:erics/p:bpmsuite1!). - select Check Datasource, if all goes well Save the configuration. - these are the BAM dashboard views of the integrated data. 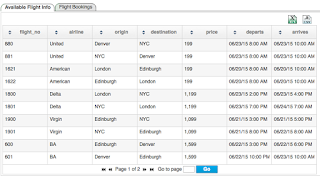 - monitor for bookings when running process instances. 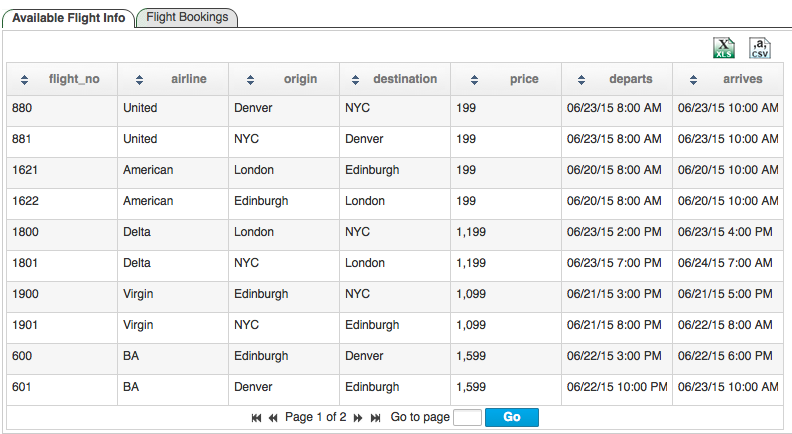 Hotel bookings finalized and displayed in BAM dashboard. The process will now be using the various data sources and the BAM dashboard will provided a running live look at the data as fights and hotels are being booked by users of your process. If you need some visual assistance you can watch the videos provided with the JBoss BPM Travel Agency that show you how to run through a valid travel booking. We hope you enjoy this one too and feel free to browse for more at JBoss Demo Central.